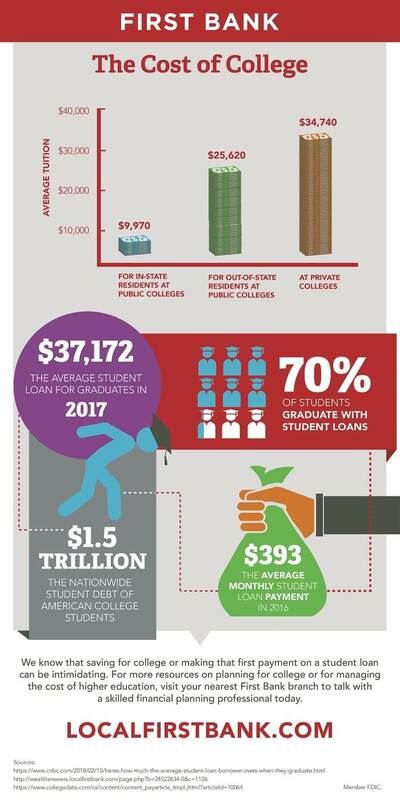 There’s a startling financial truth for those enrolled in college and recent graduates: a higher education almost always comes with a significant price tag—and debt. Below, we take a look at the numbers. But don’t worry! We’re here to help you whether you’re planning for school, in the middle of your education, or a freshly minted graduate. Come see us today.